Superintendents in U.S. public school districts are not as keen on the importance of standardized test scores as indicators of school success as they are about other measures. Nine in 10 of K-12 superintendents say students' engagement with school, hope for the future and graduation rates are very important measures of school effectiveness. Just one in 10 say standardized test scores are very important; 52% say they are somewhat important. The 9% of superintendents describing standardized test scores as very important indicators of school effectiveness contrasts with 91% saying the same about student engagement, 90% about student hope for the future, and 89% about the rate of high school graduates. How important do you think each of the following is for measuring the effectiveness of the public schools in your community? Results of the 2018 K-12 superintendent survey emphasize the need for implementing and assessing nonacademic aspects of students' education experiences -- a perspective that is underscored by results from another study of parents, teachers, principals and superintendents. Members of each of these stakeholder groups agree it is necessary for schools to assess both academic and nonacademic factors, but there is much variance in the ways schools address and foster nonacademic skills, which may contribute to the challenges in assessing them. Just one in 10 of teachers say the assessments used by their school to gauge nonacademic areas measure those skills "very well." The question about the importance of various school effectiveness measures was asked of superintendents in 2016. Results of each survey show a large gap in importance between standardized test scores when compared with engagement, hope and graduation rates. The percentage of superintendents who say engagement and hope are very important measures has sneaked upward from the 2016 survey of these K-12 leaders, while the percentage who say standardized test scores are very or somewhat important edged downward. In 2016, 71% of superintendents indicated standardized test scores are very or somewhat important compared with 61% who say the same in 2018. In 2018, 7% of superintendents say scores that students receive on standardized tests are not at all important. Notably, this makes standardized test scores the only school effectiveness measure among seven with a meaningful proportion of school district leaders saying it is not at all important. Other Gallup research suggests the importance that superintendents ascribe to engagement and hope as measures of school effectiveness is well-placed. Many schools use the Gallup Student Poll to include nonacademic measures within their school success framework. The Gallup Student Poll is a web-based survey for students in grades five through 12 that measures engagement with school, hope for the future, entrepreneurial aspiration, and career and financial literacy. Students who are engaged -- involved in and enthusiastic about school -- are more likely to be hopeful for the future and have better self-reported academic performance than their actively disengaged peers. Results from the Gallup Student Poll suggest that students become less engaged as they journey through school. For example, fifth-grade students are 1.8 times more likely than high school students to strongly agree they learned something interesting at school in the last week, and older students are less likely to strongly agree they have a teacher who makes them excited about the future. As students near graduation, they seem increasingly disinterested in their learning and apprehensive about their future. While nonacademic factors have been challenging for schools to address and assess, many superintendents indicate that they are mission critical in preparing students to be successful. Just 40% of K-12 superintendents strongly agree or agree that high school graduates in this country are well-prepared for success in the workforce, which includes 5% who strongly agree. When asked about experiences that would be most helpful in improving student preparedness for the workforce, 69% of superintendents say job shadowing, internships and entrepreneurship opportunities would be most helpful, and nearly two-thirds (66%) say students need support building social and life skills, such as teamwork, communication and decision-making. Further, nine in 10 of superintendents (91%) strongly agree or agree they would be in favor of scaling back some current curriculum and testing to make room for more internships, apprenticeships and job shadowing opportunities for high school students. Many K-12 superintendents say their district is currently embracing strategies that could provide nonacademic experiences that can help prepare students for the workforce. More than seven in 10 (73%) indicate that their school district partners with area employers to help promote career and vocational training; 35% say they have current partnerships with employers who recruit students directly out of high school. Districts have nine such partnerships on average, but there are differences between school districts in cities and those in other areas. Superintendents leading districts in cities have more than 16 such business partnerships on average to recruit students directly out of high school, while rural communities have just five such partnerships. Superintendents are nearly unanimous in their opinion that engagement, hope and graduation rates are very important measures of school effectiveness, while just one in 10 say the same about standardized test scores. 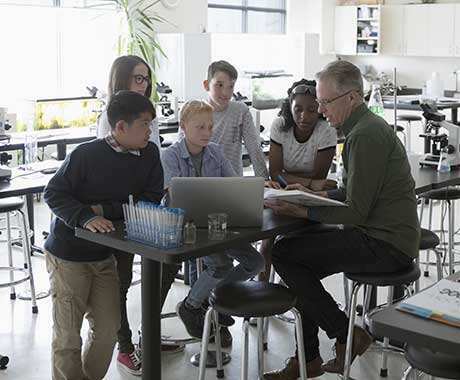 Other Gallup research suggests students become increasingly disengaged as they journey through school, creating a challenge for school districts as they try to create meaningful experiences that best prepare students for success in higher education and the workforce. Students who are engaged -- involved in and enthusiastic about school -- are more likely to be hopeful for the future and have better self-reported academic performance than their actively disengaged peers. Some school districts are forging partnerships with area employers that can blur the lines between education and work. 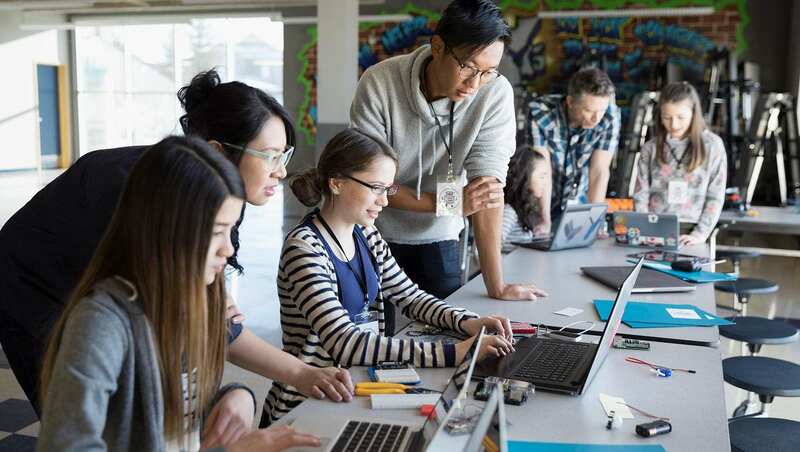 Such partnerships may provide students with opportunities to engage in job shadowing, internships and apprenticeships, while giving them a chance to practice needed social and life skills, such as communication and decision-making -- nonacademic skills that superintendents indicate would be most helpful for workforce preparedness. Such strategic partnerships may have the added benefit of boosting student engagement with school and hope for the future by building interest in learning and excitement and energy for the future. Download the full report, Leadership Perspectives on Public Education: The Gallup 2018 Survey of K-12 School District Superintendents. Valerie J. Calderon, Ph.D., is a Senior Research Consultant at Gallup Education. Jeffrey M. Jones, Ph.D., is Managing Editor of the Gallup Poll and Senior Consultant at Gallup. 61% of public school superintendents strongly agree that recruiting and retaining talented teachers will be a challenge for their district. Provide a more positive school culture by participating in the Gallup Student Poll.